Manages to be both accessible and intricate. A whole lot of Pokemon from throughout the series are represented. Several modes to appease different players. An afterthought of a Saturday morning cartoon story. The randomness of battles can be irritating. Okay so comparing Pokemon Duel to checkers isn't 100% spot on, because there's definitely more to it than that, but it's still fairly apt. The game has you moving your statuettes in an attempt to land on your opponent's goal while defending your own, with different minis each having their own movement speed and attacks. Trust me, it's a little like chess or checkers. First, you're going to want to get your team set up. Pay attention to each pokemons' attack ring. This ring, viewable on their individual data pages, will give you an idea of how likely an attack is to activate - the bigger the slice the more likely. Red is bad. Red bits are for misses, and missing leaves your pokemon vulnerable to even the weakest attack. So maybe consider not using ones with big red areas. 'Speed' is also important. The number inside a blue circle, which is underneath the pokemon's statue, shows how many spaces that pokemon can move in one turn. More spaces means more opportunities to block, close in on, and otherwise best your opponent. Don't forget about Plates. Plates are a bonus you can activate once per match each (don't worry, they'll be back for the next one). These can be used to temporarily increase a pokemon's attack, give you a second chance spin in battle, swap places with other pokemon on the field, and more. Fusion ever so slightly increases a pokemon's effectiveness. Rather than increase their stats, it will make one of their ability 'slices' of your choosing on the wheel a little bigger (and their miss sections a little smaller) - thus making the chosen attack more likely to occur. Most of the time, winning a match is more about positioning than direct battles. Watch the corners. Each of the four corners on the field is a spot for pokemon to be placed - the two on the top for your opponent and the two on the bottom for you. Placing a pokemon on one of these spaces will render it useless, which means you can prevent your opponent from placing more but the same can happen to you if you're not careful. Quests (the single player mode) and Training are where you'll want to practice before taking on other players. They're also a relatively easy way to earn some extra items and other goodies. Go for the goal. Knock-outs are only temporary setbacks - the best way to win is to get one of your pokemon into the opposing goal. Use the board layout to your advantage. If you move your pieces strategically you can make it much tougher for your opponent to reach your goal or even defend their own. Even weak pokemon can make a good wall. Don't sweat the battles. Unless you use a specific Plate ability, you have zero input during a fight. Just sit back, cross your fingers, and see how it turns out. 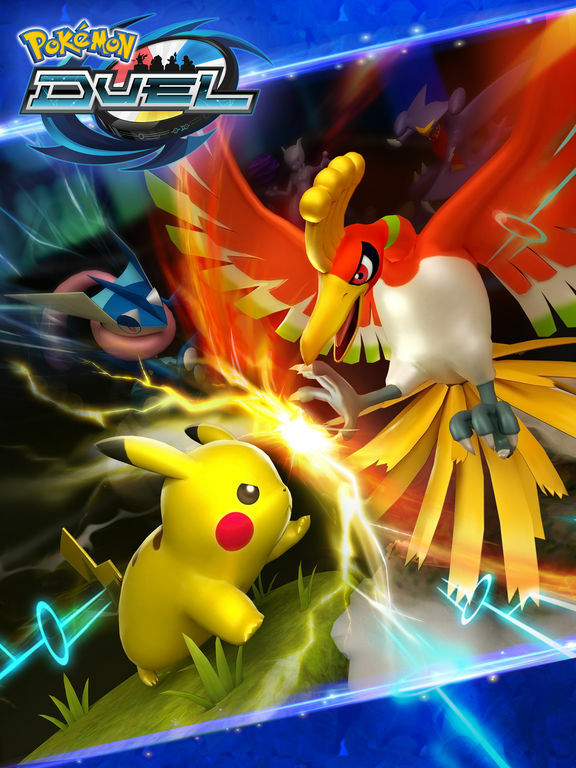 It's a bit offbeat, but Pokemon Duel actually ends up being pretty enjoyable. It's mechanically simple but like other much older classic games there's a lot of nuance to the strategy. Not a bad time at all! 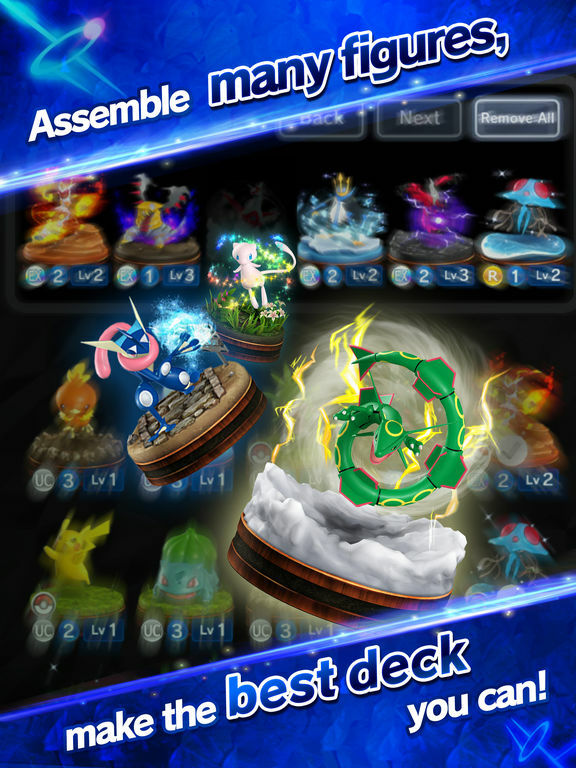 Right, so, Pokemon Duel is a bit weird. Whereas in previous Pokemon games we've had to collect cards (or, you know, living creatures), now it's all about tiny figurines. Because that makes perfect sense. Regardless, it's kind of like Pokemon got together with Heroclix (remember those?) and decided to make their own version of chess or checkers. It actually works a lot better than you might think. In general, the idea behind each match is to get one of your little pokemon statues onto your opponent's goal space - and to prevent them from reaching yours. This is done by moving your team of minis around a compact field with different pathways and a limited number of locations to place new pokemon. Functionally you just move them around one turn at a time until somebody wins, but there are a fair few strategic possibilities with such a simple setup. The number of spaces a given piece can move, which spaces you decide to occupy, the 'strength' of the pokemon themselves - all of it can make a difference and potentially turn the tide over the course of a match. I was pleasantly surprised but just how nuanced it turned out to be in practice. I was also pleasantly surprised by the variety of available pokemon, which cover most (if not all) of the games. Every single one isn't here because that would be kind of ridiculous, but there's a nice spread across the 312 figurines currently available. I'm not a fan of the story, though. I mean it's a freemium mobile game so I wasn't expecting much, but I feel like no story would be better than this weird 'tournament where the winner gets a skyscraper' plot that we do get. It's all so... by the numbers. You have a rival/friend who you keep running into, you want to be 'the very best,' you have an AI in your Pokedex or whatever they're calling them in this one that, of course, is special and unlike anything anyone has ever seen. Ugh. Thankfully you can ignore the story mode completely (or just skip the cutscenes, I suppose). There's also a Training mode that will help to familiarize you with the basics, then once you feel ready you can take on other players or friends directly. Naturally the direct battles are where the fun really begins. Random matches haven't been the sort of issue I was expecting, either. Because of the way combat works - with roulette style attack wheels that you have zero control over short of a possible re-spin if you use a special item - even the lowliest of pokemon could, potentially, defeat a legendary. This is great when it means you'll have at least some chance against a much stronger team if you get a bad match, but it also stinks because the battles are totally left to chance. Despite the hands-off battles I've been enjoying my time with Pokemon Duel. 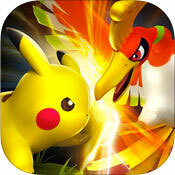 It's still no 'real' Pokemon game on mobile, to be sure, but it is a fun, accessible, strategic bit of fan service. Well worth a look for the curious, I think.